Use of this site constitutes your acceptance of these terms and conditions which take effect at the time you first access the site. If you do not accept these terms and conditions you must not use this site. The North West Homing Union reserves the right to change these terms and conditions at any time by posting changes online. It is your responsibility to refer to these terms and conditions on accessing this site. Continued use of this site after such changes to the terms and conditions constitutes acceptance of those posted changes. 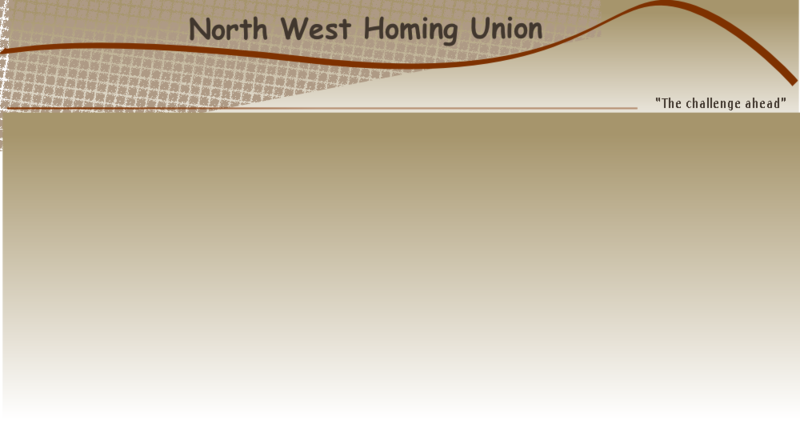 The North West Homing Union reserves the right to make this site unavailable at any time or to restrict access to parts or all of the site without notice. You acknowledge that all intellectual property rights, including any trade marks or copyright in the content of this site, are owned by The North West Homing Union or its third party suppliers.